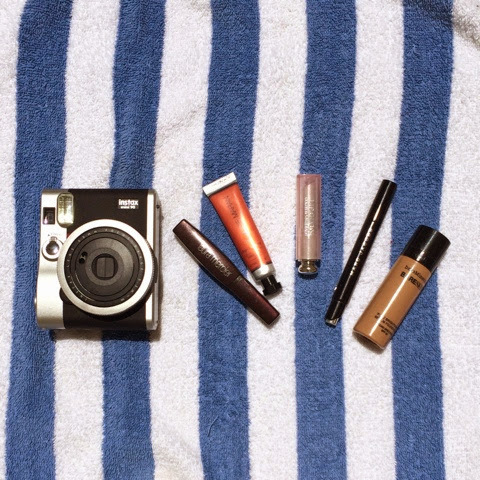 The secret to looking dewy, fresh and above all, natural, when your outfit consists of a bikini, and not much else. This look is basically the 4 minute version of my 2-Minute Daytime Make Up with two essential additions that really take it to the next level. FULL DISCLOSURE: The following photos have no filters, no touchups, and were shot in full, day-time sunlight. My love affair with this creamy, airy concealer just grows and grows. It doesn't crease, or sink into my fine lines (yes, I'm 30, I have them) but it does provide a natural, smooth finish that just lasts and lasts. I tend to covet it and save it for special occasions - it has a bad tendency to sell out in my color- but when I do wear the complements come flying. "Why no, I did not get 14 hours of sleep last night! But thanks for noticing!" I love Josie Maran's Argan Infinity Lip & Cheek Oil in Timeless Coral. The creamy formula doesn't crumble or do weird things like my powder does (remember: creamy foundation = creamy blush, powder foundation = powder blush) but it does last and have a really natural, saturated, juicy color. Also, my sensitive, dry skin just gobbles it up and it looks sweet and fresh on lips as well. Like the foundation, you just need the teeniest, tiniest drop, then blend, blend, blend! See above. The color I get from this balm by Dior is just so effortless and natural looking. It looks like I'm not wearing anything at all, but really, my lips are pale and yucky and benefit from the extra boost.